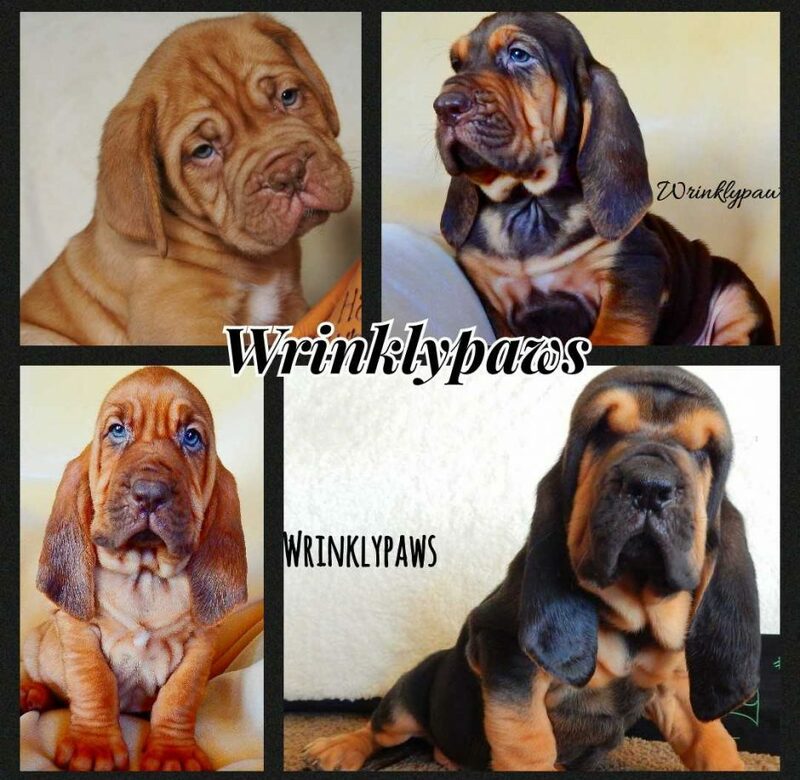 Welcome to Wrinkly Paws Lane! 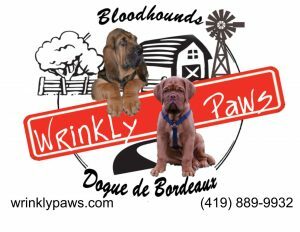 So your considering purchasing a Bloodhound or a Dogue de Bordeaux? 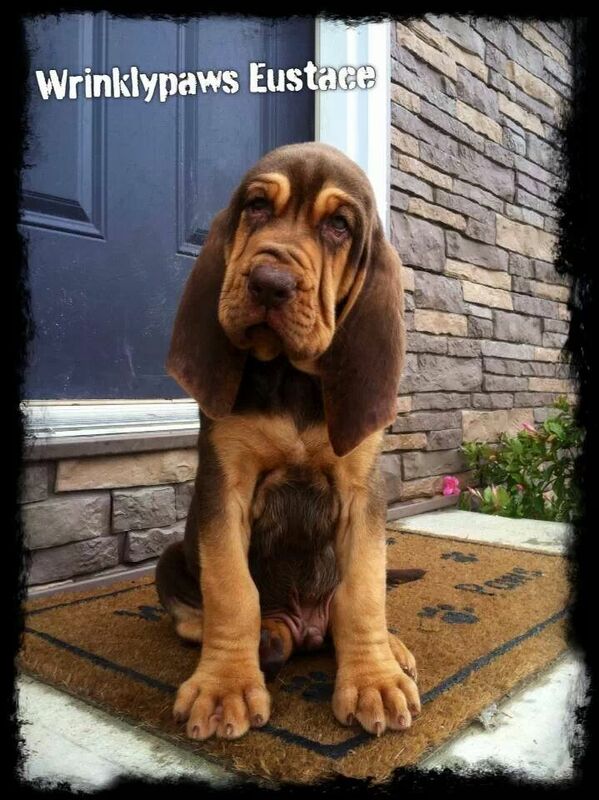 What fantastic breeds, they are the cutest puppies ever, those big floppy ears with the adorable droopy face or the Dogues with their boxy head and beautiful blue eyes. But, Please remember the adorable little 8 wk old puppy that occupies one little dinky dog bed will soon become a 100lb dog that covers your entire living room floor! They are terrific family dogs and they can be an outstanding working dog. We want to make sure that our dogs have forever homes, so please do your homework now and ask all the questions you can think of so we can assist you in finding the perfect puppy for your family! We have a life long commitment to our dogs as well as the pet owners that take them home, we are happy to provide references and answer any questions or concerns that you may have!